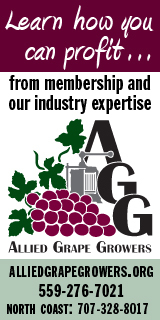 March 31, 2016 – Geyserville, CA–Wilson Artisan Wineries announced it has purchased Greenwood Ridge Winery in Anderson Valley’s Philo in Mendocino County. Wilson Artisan Wineries will take possession of the Greenwood Ridge tasting room, brand and inventory. Diane and Ken are devoted to things they value most—family and friends—and are committed to the stewardship and sustainable farming of their 600 plus vineyard acres. Diane, a native Californian, cherishes her high-energy lifestyle that includes raising children, making wine at the Wilson Artisan Wineries and taking an active role in the community. Ken, born and raised in Ontario, Canada, is robust and passionate about his vineyards and wineries. It was Ken’s wisdom and vision that created the diversity of vineyard sources over the years. These vineyards provide the premium quality fruit that has brought notable recognition to the Wilson Artisan Wineries. Dian and Ken also own Healdsburg’s historic Grape Leaf Inn and Calderwood Inn in addition to their ten wine brands: Wilson Winery, Mazzocco Winery, deLorimier Winery, Soda Rock Winery, Matrix Winery, Jaxon Keys Winery & Distillery, Pezzi King Vineyards, Mosaic Winery, St. Anne’s Crossing Winery and Greenwood Ridge Vineyards.